Twin Palms Resort is a Gulf-Front condominium located between Long Beach and Edgewater Beach Resorts on Front Beach Road. This is one of the state's most popular vacation spots with proximity to amusement parks, golf, shopping, and restaurants. Our luxurious suite, located on the 12th floor, is on the Gulf with amenities to create a relaxing retreat. It provides guests the comforts of home, including a complete kitchen, spacious rooms with two beds and a sleeper sofa, along with marble appointments in each bath. The over-sized open balcony and full-view windows offer guests an exceptional view of Florida's most breathtaking sunsets. WI-FI Service in unit. Our unit provides beach supplies for guests to use (i.e., chairs, umbrellas, boogie boards, masks, snorkels, shovels, buckets, etc.). Also, bathroom and kitchen paper and soap products are provided. Walmart is nearby for groceries and other supplies guests may need. Our competitive rates ALREADY INCLUDE ALL TAXES AND CLEANING FEES, and your 7TH NIGHT IS FREE. Ask about our Repeat Customer Discounts, and visit the linked websites for more information about Twin Palms Resort and Panama City Beach. In our Unit 1204, Two Queen-size Beds, One Fold-Out Sofa bed, 2 Phones, 3 Cable TVs (12, 27, & 32-inch TVs), 2 VCRs, 2 DVDs, High Speed Internet (upon request), Cooking Utensils, Pillows, Linens, Towels, Iron/Board, Shared Facilities at Twin Palms Resort, Indoor & Outdoor Hot Tubs, Dry Sauna, Steam Room, Outdoor Pool, Exercise Room, Covered Garage Parking, Gas Grills in BBQ Area, Onsite Security. WI-FI Service in unit. My husband daughter and her friends booked this unit for an impromptu short stay spring break trip. The only thing I would complain about was that we were not there long enough! The unit was clean plenty of dishes appliances all worked properly comfortable beds and pillows just all around fantastic. If you want a steak free stay i would highly recommend this place. The owners were great and easy to work with. Communications were answered quickly and they even notified us of a potential problem that wasn't a problem for us at all regarding the door lock. Just a fabulous location, unit, and owners. Trust me you wont be disappointed in this one! This is the second time we have stayed in this unit and we will definitely return! 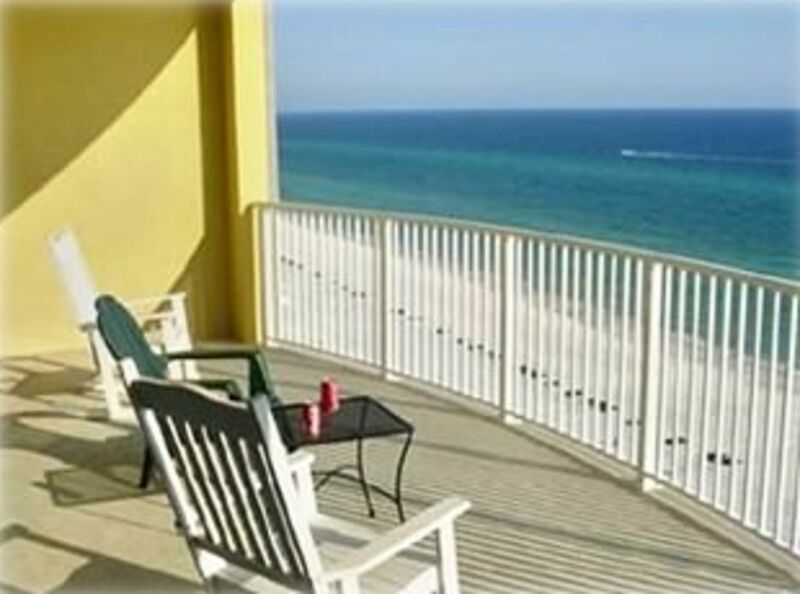 It is very clean, has the extras for the beach and the owners are very nice and responsive. We absolutely love it! The location is great, the condo is spacious and the view is outstanding! We went on a couple's retreat, but we kept remaking that the condo is great for everyone. The owners have done a great job of making sure that everything you may need is already there. Beach chairs, cooler, DVDs, books, children's activities - it's all there. I can't say enough good things. We will definitely be back! My family enjoyed this condo! It had everything you could possibly need! It was the first condo I’ve ever stayed at that had laundry soap, dishwasher tabs, and stocked toilet paper. We didn’t have any problems at all. The condo was stocked with everything you would need in the kitchen and it was very clean. We had a great vacation! The owner was easy to get ahold of for questions as well. All you need to do is show up! This condo is stocked with everything you need, linens, everything you need to cook, etc. The balcony is huge. Highly recommend this condo. Martha, the owner, was fantastic. Only one very small issue.. Very small.. bedroom blinds didn't close very well and let in a lot of sunlight... I'm just a light sleeper. I also have to say it was very well stocked and comfortable.